This is jewelry exhibition that I organized of my work and my students’ work from Whaley Studios and the former UCSD Crafts Center. The show is currently up in the Japanese Friendship Garden Museum from August 7 through October 26, 2014. 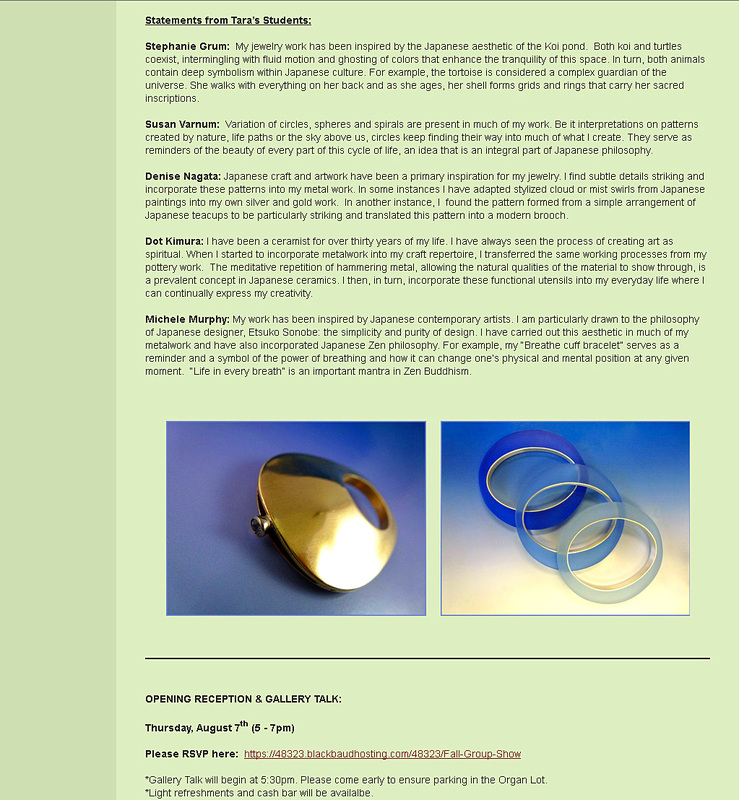 The online article, featured on http://www.niwa.org (The Japanese Friendship Garden’s website) provides background information on my show, Hajime. 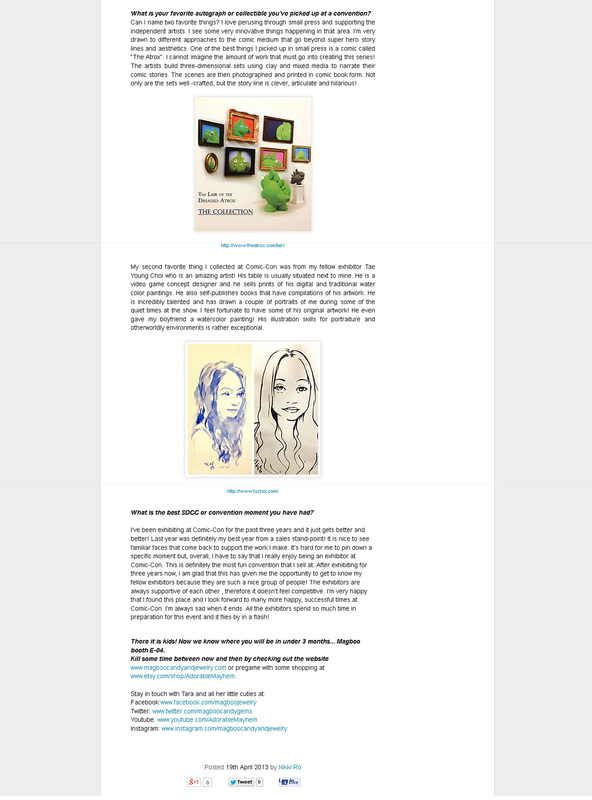 I was interviewed by Fusion.net which is an online news website on popular culture. Fusion.net is a joint venture by Univision Communications and Disney/ABC Network. 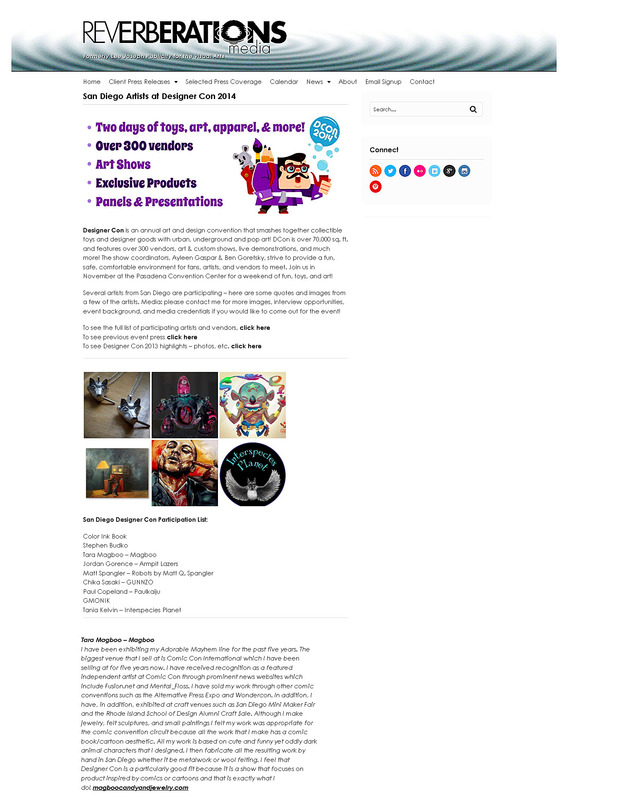 I was featured as one of the best Independent Artists at Comic Con 2014 in one of their online articles. This was my fifth year exhibiting my Adorable Mayhem line at San Diego Comic-Con International. I gave an an in-depth interview about my Adorable Mayhem line on the San Diego Comic-Con online blog, Con Sweet Con. 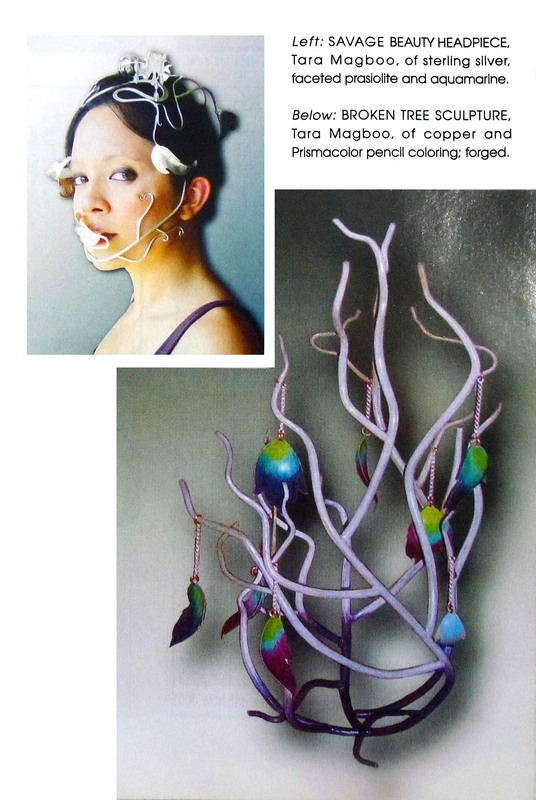 I was interviewed about my work in Mental_Floss, a popular news magazine on contemporary culture. 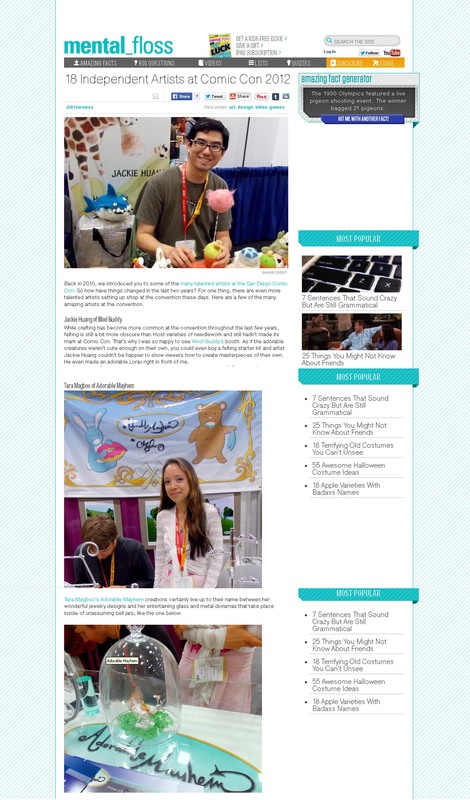 I was featured as one of the independent artists to watch in an online article on their website about my Adorable Mayhem line at Comic Con 2012. 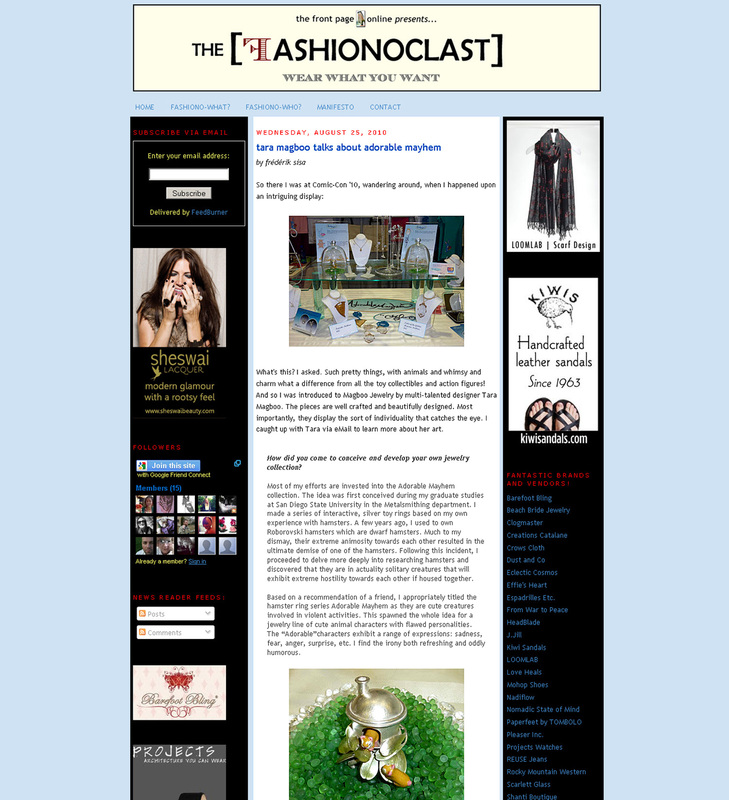 I was interviewed in-depth by fashion blog, Fashionoclast, about my Adorable Mayhem line at Comic-Con 2010. 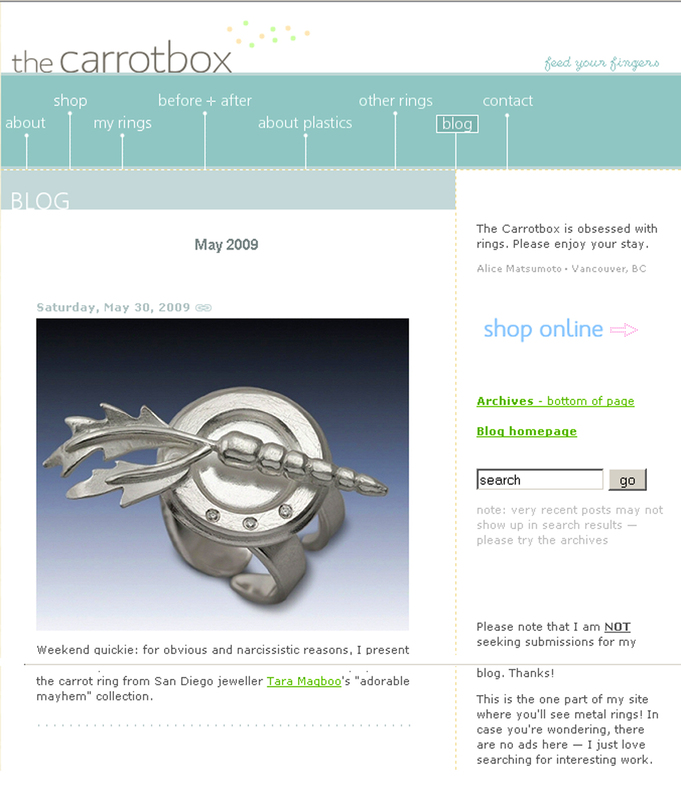 The Carrot Box is a beautiful online blog about modern jewelry. My “One-Carrot-Ring” was featured on their website. 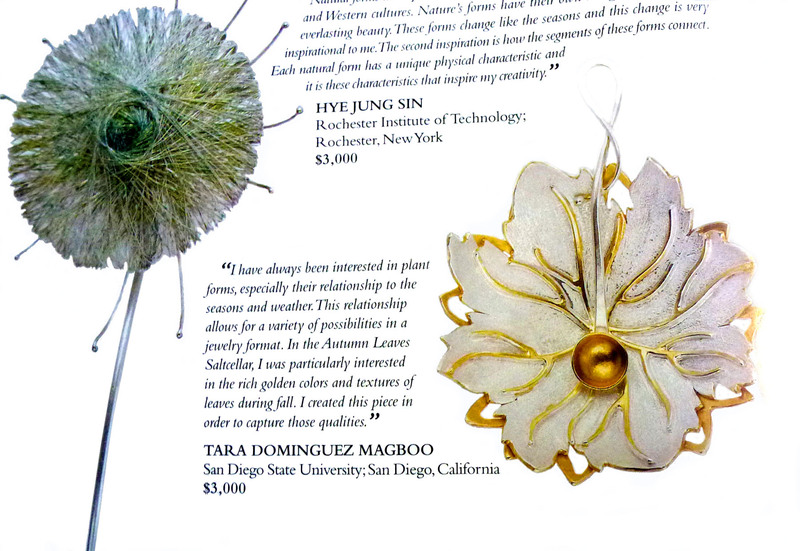 My metalwork was shown in a group exhibition titled, “Little and Large” organized by the San Diego Visual Arts Network. 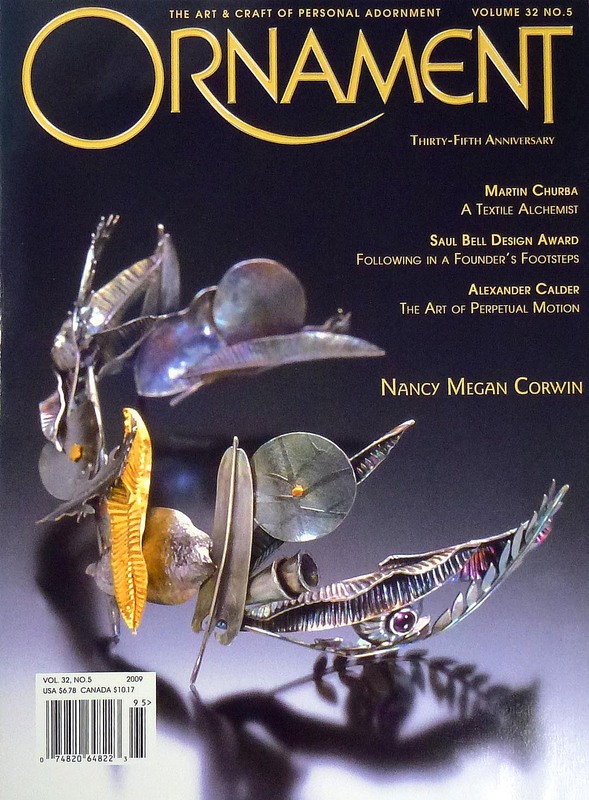 Ornament Magazine interviewed some of the participating artists in the show. 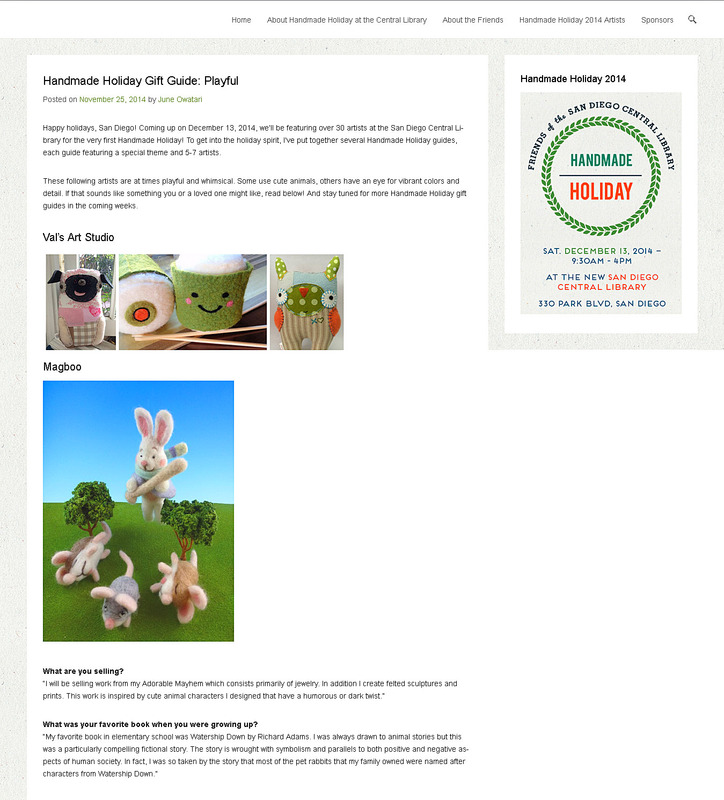 My work was featured in their article, “Little and Large”. 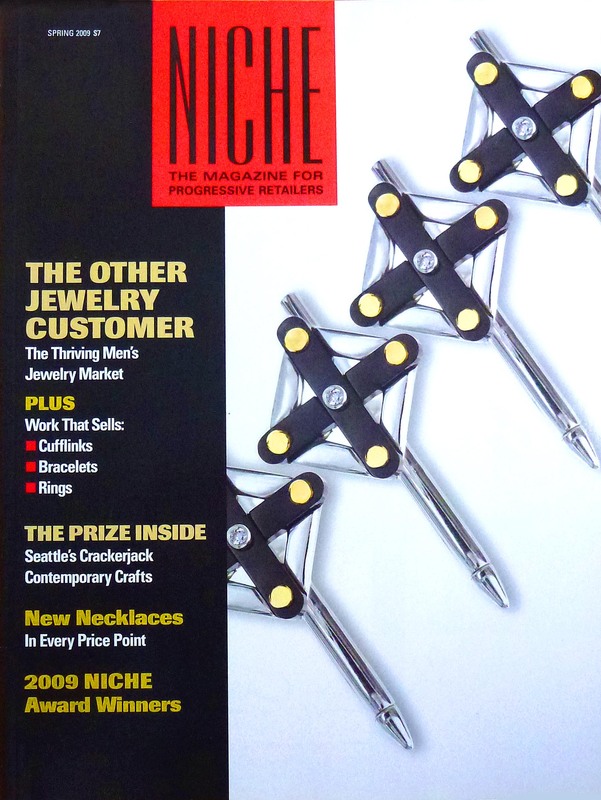 Front Cover of the Volume 32 No.5 2009 Issue of Ornament Magazine featuring the “Little and Large” article. First page of Ornament’s “Little and Large” article. 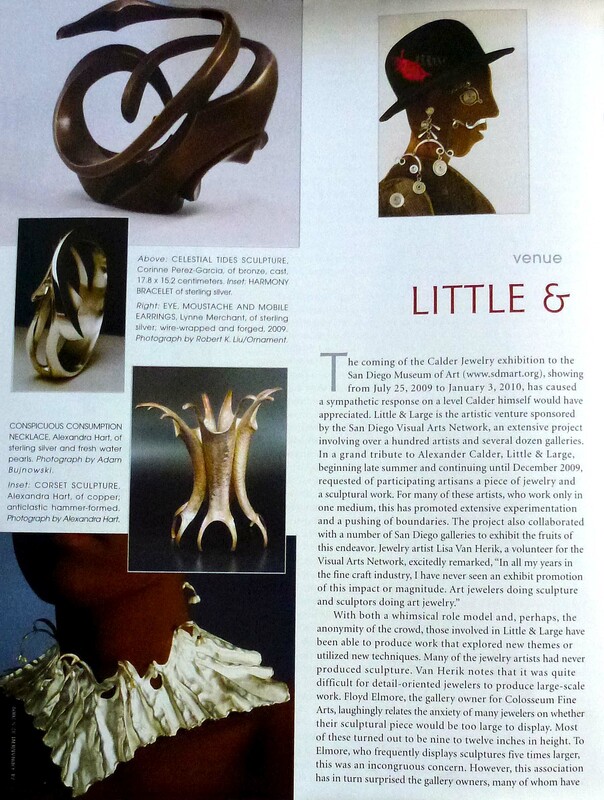 Second page of “Little and Large” article featuring my metal work. 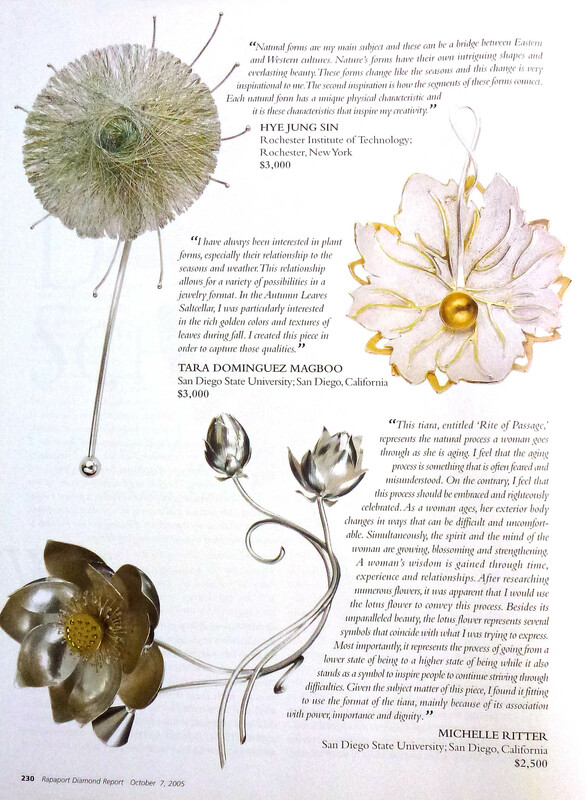 Close-up of my work in the “Little and Large” Ornament article. My “Cherry Blossoms Progression through Time” hair combs won the 2009 Fashion Accessories Student Division in the national Niche Award competition in 2009. 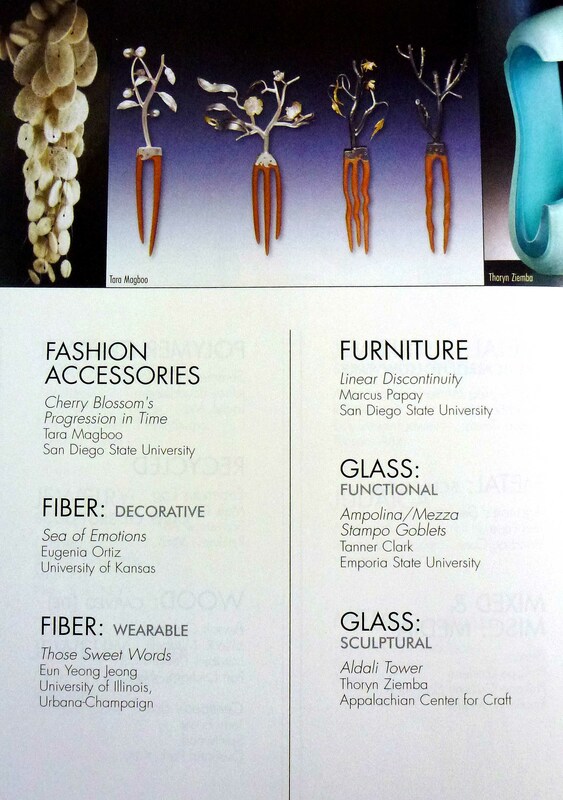 I entered the competition while I was in graduate school at San Diego State University for Jewelry and Metalsmithing. 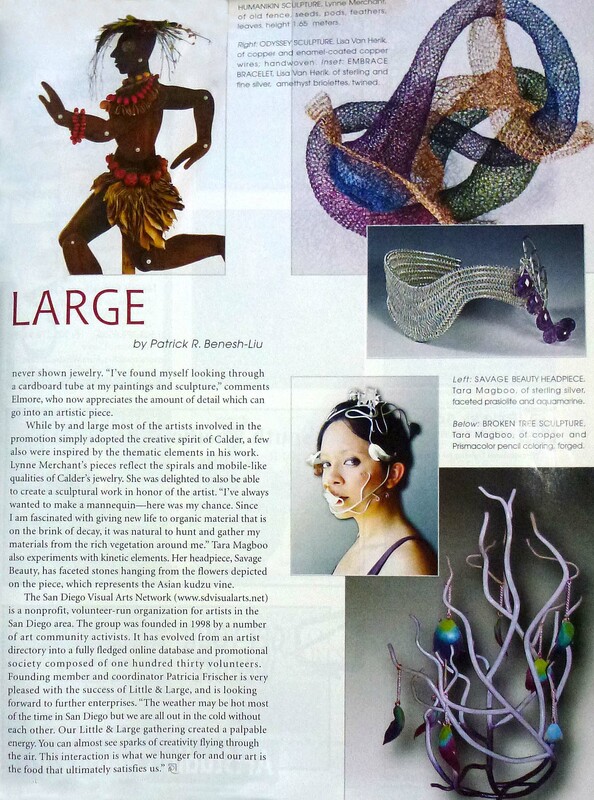 My work was featured in the popular craft trade magazine, Niche. This is the page in the article that features my work in the student division. This is a close-up image of my hair comb series featured in the article. 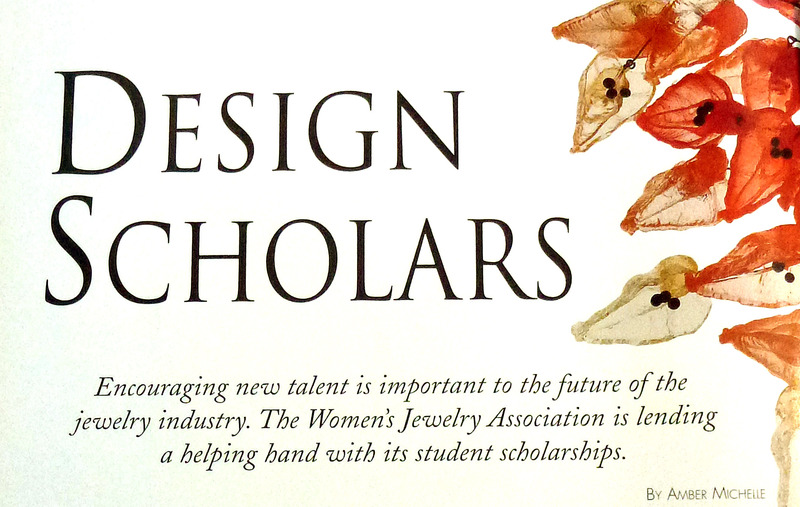 In 2005, I won a $3000 scholarship through the Women’s Jewelry Association. This was a national competition that awarded 12 students educational grants. I applied for the WJA scholarship while I was in graduate school at SDSU. 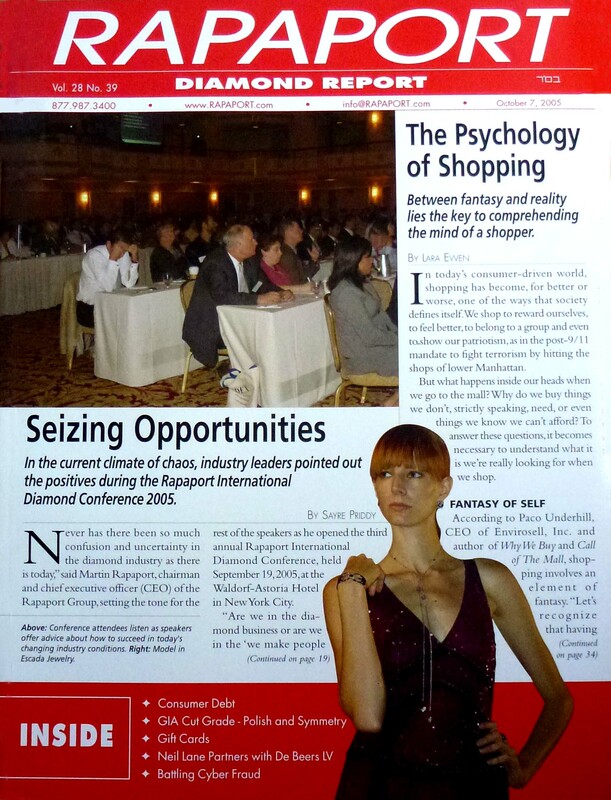 This is the Rapaport Diamond Report Magazine cover of issue Volume 28 No. 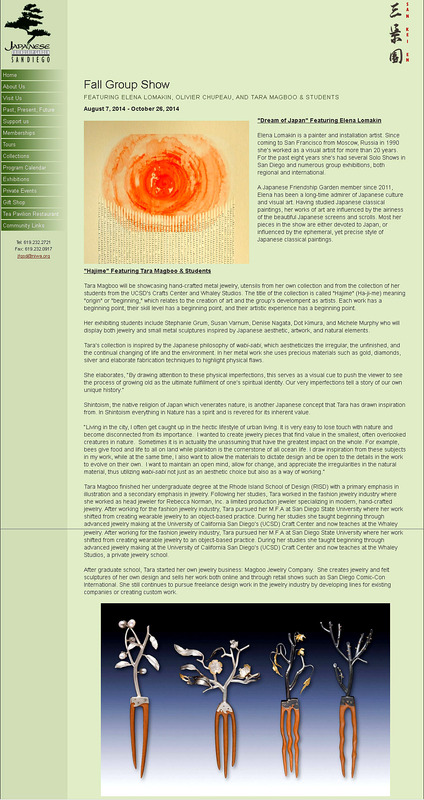 39 October 7, 2005 that features some of my work. Page. 230 features my work in the article. 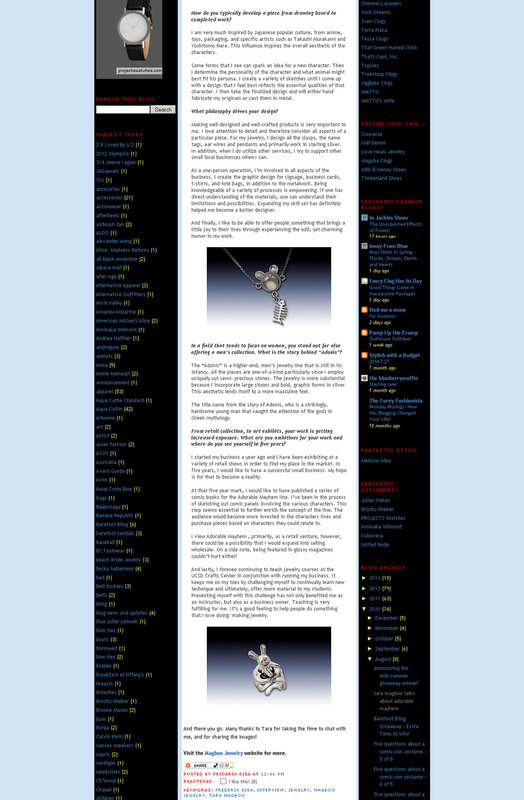 This is a close-up image of my work in the article. 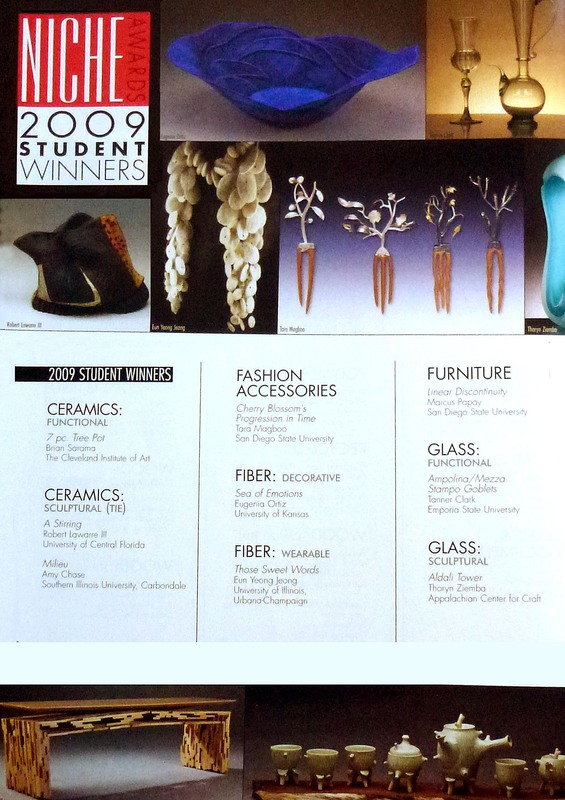 An online article on the JCK website featured the 2005 winners of the WJA national competition for educational scholarships. I was featured as one of the winners in the online article. 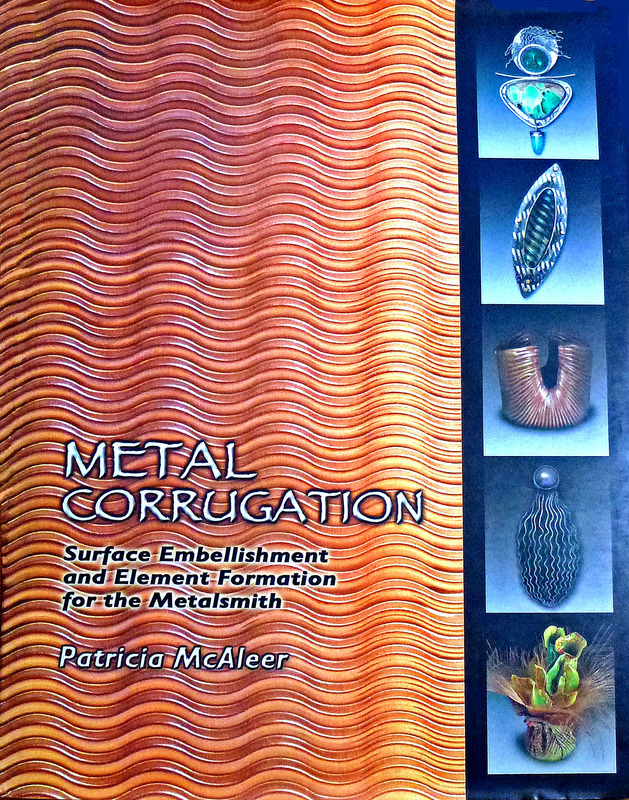 This is the cover of the book, Metal Corrugation, that features some of my jewelry work. 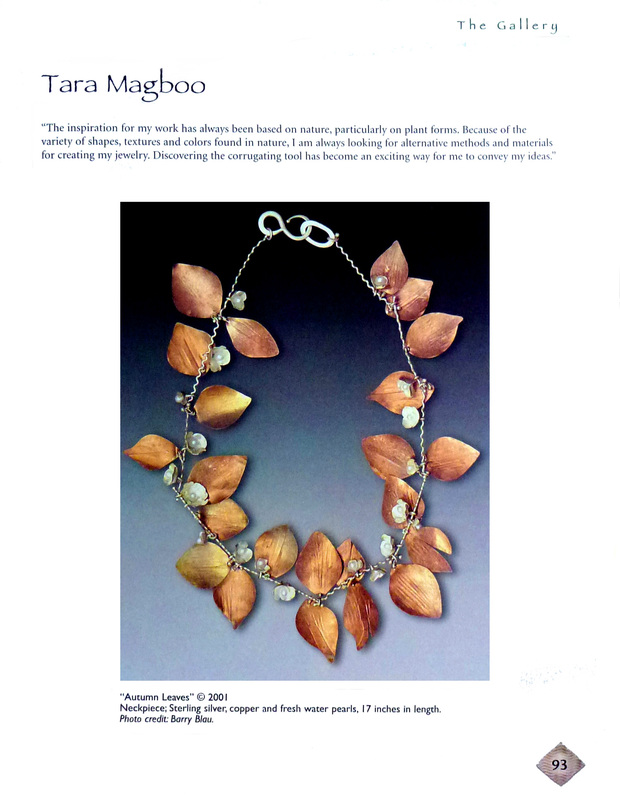 Page 19 shows a detailed image of my “Autumn Leaves” necklace and elaborates on my jewelry technique. 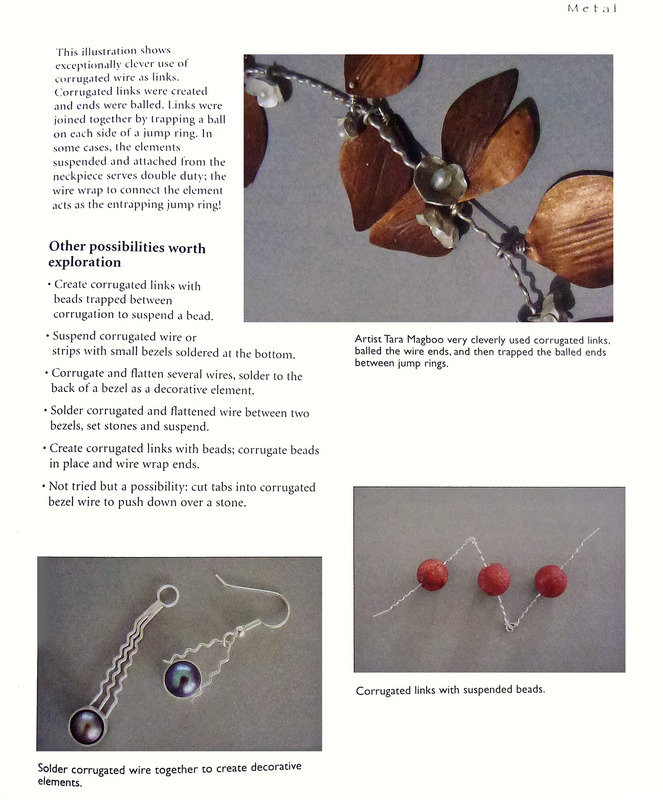 Page 93 features my “Autumn Leaves” necklace which incorporates the metal corrugation technique.